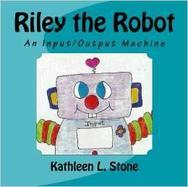 Riley the Robot provides children practice with the higher level algebraic concept of Input/Output or Functions. A number goes in, Riley does something to it, and another number comes out. Readers are encouraged to discover Riley's rule. Sometimes this skill is taught as missing addends and minuends.